Well I’ve done it. I just signed up for NaNoWriMo (National Novel Writing Month) 2014. I’m scared and excited at the same time. I doubt I will reach 50,000 words but that’s not really the point. I talked last year about NaNoWriMo in this post. You can go to NaNoWriMo.org for all the info you’ll need. I thought about writing longhand, because that’s what my blog is all about, right? But I can type so much faster than I can write so I think I will be typing the novel. It is much easier to keep track of word count that way too. I was initially hesitant when I read the requirements. You have to upload the text of your novel at the end, to verify final word count. I was nervous about sharing my idea (not that I think it is super original but still). But in the FAQs they assure me that my text will be filtered for word count purposes only and then promptly deleted. And there is also a word scrambler feature that is pretty neat which would put to rest any worries about idea stealing. I will keep you posted on my progress during the month. 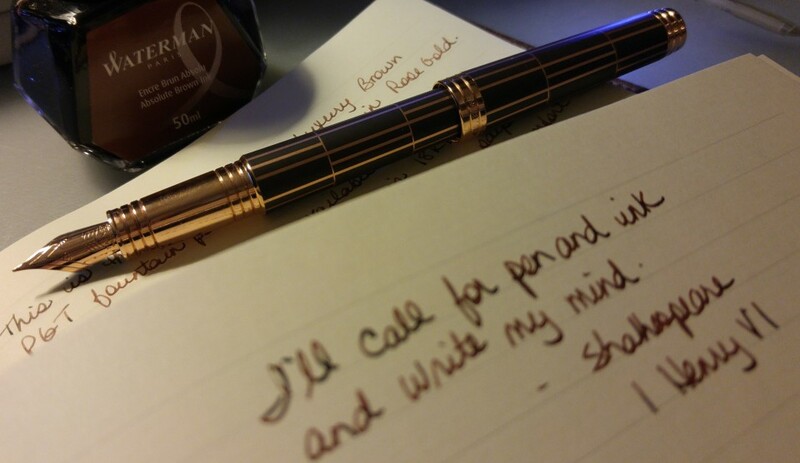 My username on the NaNoWriMo.org is inlovewithjournals. If any of you are participating tap me to be a writing buddy. I am looking forward to spending the month of November with Charlotte and Tommy, and maybe James. See this post to see what I’m talking about. Wish me luck! I can’t wait for NaNo to get here! It’s always huge fun, although I’ve no idea what I’m going to do this year. I’m excited too. It’s my first time so I don’t know what to expect! Are you registered on the nano site? We could be buddies! I am, and I’d love to buddy. My username is Galadriel1010, and I’m an ML for the Yorkshire region. Expect lots of fun, a fair few ninjas, and not enough sleep! Check out your local region for events, and if they’re not active enough come and hang out in the Yorkshire forums. We’re plenty active, and have lots of old hands at it. Wow that is exciting. Best wishes with this. I can’t join you because I will be away for most of November but there is always next year. Thanks Marlyn! Next year it is!